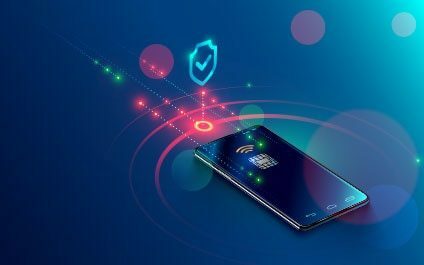 While there are many ways to improve your cyber security, Multi-factor Authentication is one of the most effective ways to help combat attacks. Multi-factor Authentication (MFA) is essentially an extra line of defense. Instead of simply requiring a password to access data or an account, MFA also requires another method of confirming identity to make sure users are who they say they are. These systems will typically ask for 2-3 main pieces of information as a safeguard: a password, a security token, and, in recent years, even a biometric verification like a fingerprint or face scan. MFA is more common than you may realize. For example, when you add a new contact to eTransfer money to, most financial institutions will send a verification code to your mobile device. Similarly, when you withdraw money from an ATM, you must insert or swipe your card, and enter your pin. Even Facebook and Dropbox have options for MFA. Though it shouldn’t replace your current defense systems, MFA is essential to your business’ security. You should enable MFA on all possible accounts - especially those with confidential and sensitive information. It is much more difficult for a hacker to gain access to your network when asked for a fingerprint or one-time-use access code sent to an employee’s mobile device than it is for them to simply steal a password. Using this easy-to-adopt tactic ensures all your company data stays secure. This becomes even more important if your company uses cloud-based systems that can be opened on any device, anywhere in the world. With remote-work becoming more and more common, it’s extremely likely that you have an employee who works from somewhere other than the office, which can make managing your security a real headache. Enabling MFA gives you peace of mind knowing the only people accessing sensitive information are your employees to whom you have given access to. For example, you could develop a MFA system that requires users to answer a security question when signing in on a new device, or from a device in an unusual location. Interested In Improving Your Cyber Security Practices? Contact Us. To keep your network secure and meet your customers’ needs, company leaders need to regularly re-evaluate current IT strategies. We’re committed to ensuring your business is protected from cyber-crime. If you have questions about Multi-factor Authentication, or want to chat about network security in general, we’d love to talk.